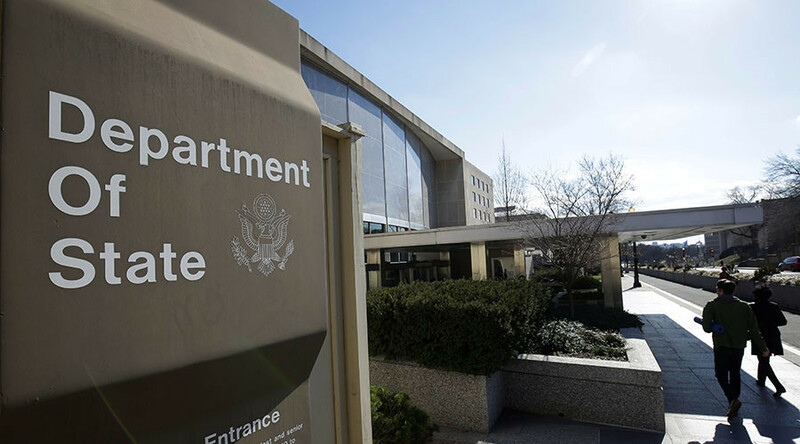 An employee at the State Department’s Caucasus Affairs office is facing felony charges of obstructing an official proceeding and making false statements to the FBI after allegedly accepting undisclosed gifts and money from Chinese agencies. Charges against Candace Claiborne were announced Wednesday by the US Department of Justice (DOJ) which claims that Claiborne, 60, concealed contacting foreign intelligence agents over a number of years from the FBI. She pleaded not guilty to the charges. According to the DOJ, two Chinese agents “provided tens of thousands of dollars in gifts and benefits to Claiborne and her family over five years.” Her top-secret security clearance made this issue particularly serious, as she was required to disclose any foreign intelligence contacts. It wasn’t just money that she allegedly accepted from the agents, either. The affidavit claims that she was given an Apple iPhone and laptop computer, Chinese New Year’s gifts, meals, international travel and vacations, tuition at a Chinese fashion school, a fully furnished apartment, and a monthly stipend. Some of her rewards were directly given to her while others were channeled through a co-conspirator. The unnamed co-conspirator was mentioned in the affidavit as being told by Claiborne that the agents were “spies.” In addition, the co-conspirator was instructed to delete evidence when Claiborne was questioned by authorities over the nature of her relationship with the agents. Claiborne is not unfamiliar with working in politics. She first came into the State Department in 1999 where she began working as an Office Management Specialist for the Department of State. Over the course of her career, she took positions at embassies and consulates in Baghdad, Iraq, Khartoum, Sudan, and Beijing and Shanghai, China. She is now facing up to 20 years in prison on the charge of obstructing an official proceeding and an additional five years for making false statements to the FBI. She is set to return to court in mid-April.